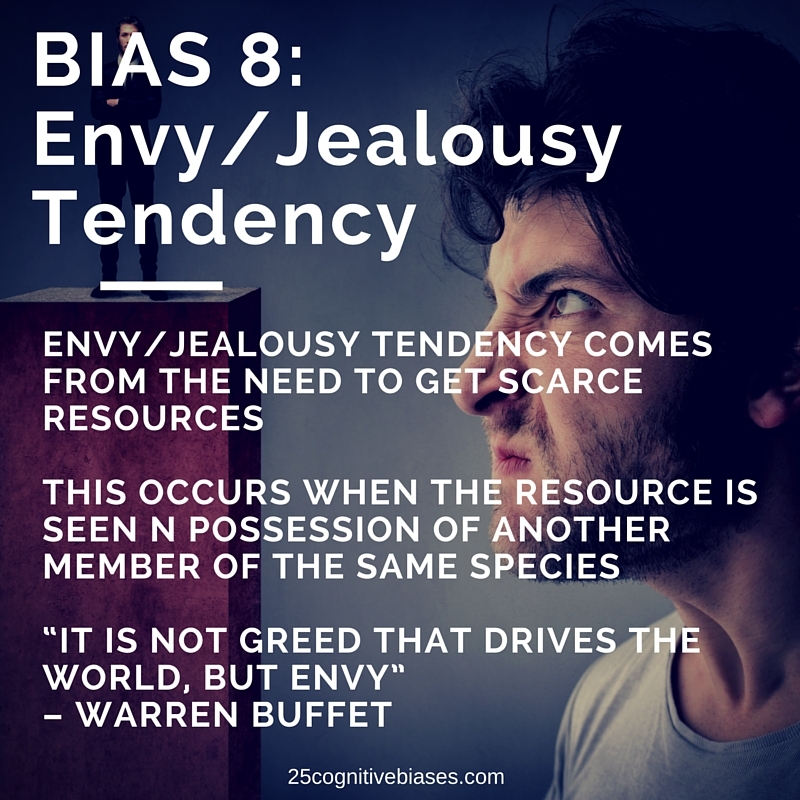 Bias 8 - Envy/Jealousy Tendency | 25 Cognitive Biases - "The Psychology of Human Misjudgment"
This entry was posted in 25 Cognitive Biases and tagged Charlie Munger, Cognitive Bias, Envy/Jealousy Tendency. This may mean letting a driver merge infront of you or perhaps carrying more physical load for a short amount of time to benefit your group. This bias has been hard-wired into our brain from thousands upon thousands of years, in ancient times food was often-scarce, food seen in possesion of another member of the same species triggers envy and jealousy. Great. Sooo show your prospects that their competitors are using the same product/service that your selling and show them HOW WELL their doing bc of THAT SPECIFIC product. This will initiate the envy / jealousy bias and will aid in having a successful sell.